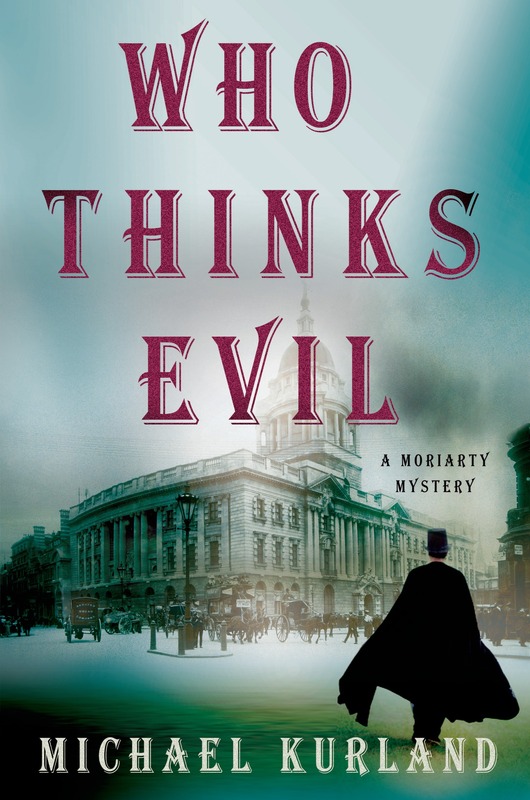 In London, 1892, a well-guarded young nobleman goes missing under distressing circumstances. The nobleman, one Baron Renfrew, is actually Prince Albert Victor, eldest grandson of Queen Victoria. He disappeared while he was visiting a house of ill repute, with bodyguards both inside and outside the building - with his inside bodyguard rendered unconscious and the trussed-up corpse of a brutally murdered young woman left behind. Hoping to find the missing Prince and to clear him of the murder, the royal family is looking for a brilliant - and, more importantly, discreet - investigator. Sherlock Holmes, alas, is out of the country so, at the suggestion of his brother Mycroft, they turn to the only man who just might be more brilliant - Dr. James Moriarty. Moriarty, at the time, is up on charges of murder, awaiting retrial after his first jury was hung. In exchange for his release and the murder charges (of which he's innocent), the so-called "Napoleon of Crime" will use all his resources to track down the missing prince and find out who is behind his disappearance and the brutal murders left in his wake.